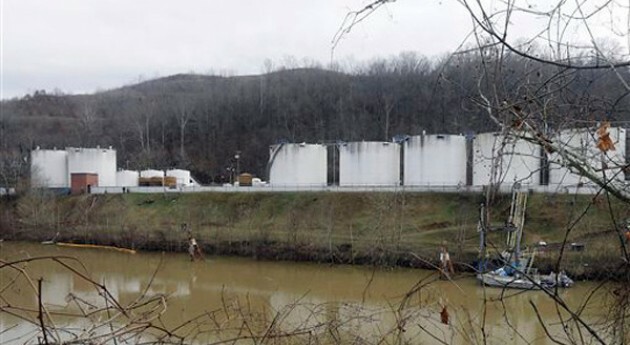 Clean Water is No Accident | Broadview Collaborative, Inc.
Where were you when you first heard about Freedom Industry’s contamination of the Elk River and the 300,000 people who depend on it for daily water? I remember it well: I was driving east on I-94 toward Milwaukee, returning from an afternoon meeting. It caught my attention because my mother’s roots are in Charleston, W.V., and our family has a long, loved history with the Elk. I was even more stunned later that day when, walking into my athletic club, my eye caught a television screen showing Freedom Industry’s tanks and a road sign for “Barlow Drive.” I called my mother, who long ago migrated to South Carolina, to tell her to turn on her television. I half expected that we’d see our relatives, especially since my uncle, her brother, owns Elk River property on Barlow Drive, adjacent to the tanks that were blasting across national news feeds. Our family was at ground zero on this one. For the people who live in Charleston, and who depend on Elk River water, this problem continues. Residents are skeptical about whether their water is safe, pregnant women are wondering if they should leave town to shower, philanthropic dollars are stretched more than ever, and commerce officials are scrambling to protect West Virginia’s “Wild and Wonderful” brand that drives much of the state’s economy. Meanwhile, the perpetrator tries to metaphorically skip town by filing for bankruptcy. But for those of us who aren’t at ground zero, our attention fades as other urgent needs pull us away. This strikes me as a challenge of limited perspective. I have a mental image of floating above a Google Earth version of the United States. When Charleston’s water started smelling of licorice and Freedom Industry’s contamination hit the news, the nation zoomed in to share the outrage and concern. But eventually most of us lost interest and understandably were pulled off to more immediate concerns. 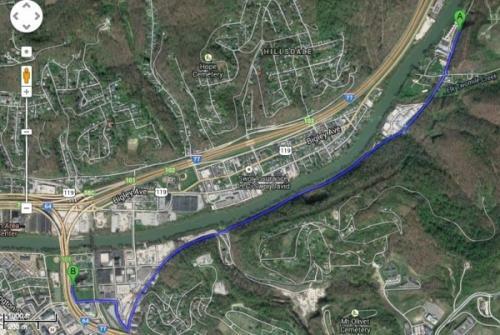 In my Google Earth dreamland, we went back to floating at an elevation high enough that the flashing lights of the problems headquartered in central West Virginia became just a dim light. But the problem is that this isn’t just a West Virginia problem. A few weeks later, we were outraged by Duke Energy’s massive coal ash spill into the Dan River, contaminating water supplies and destroying essential river bottom habitat well downstream from the “accident.” Or remember Enbridge’s oil pipeline spill in Wisconsin in 2012, or its contamination of the Kalamazoo River two years before that? Those are just the ones that come immediately to mind, but there are probably untold and uncatalogued numbers of smaller spills that happen each year like this ammonium hydroxide spill in Berkeley, Mo. Compounding the spills and leaks are the permitted inputs offracking chemicals, agricultural pesticides and widely used fertilizers that are becoming more and more of a problem in our water supply. If you think it’s not a big deal, ask the Des Moines Water Works how much it costs them to remove nitrates and atrazine from the public water supply. My point here is that we are treating water contamination as if it’s a series of individual accidents that we have no control over. But if we zoom out to take a broader, and longer, view, we see that these “accidents” are a systemic and chronic problem that demands our attention. In so many of these cases we hear the same cries for better enforcement of existing regulations, better oversight and inspection, better understanding of the impacts. Creative minds may arrive at additional insurance measures (rain barrels suddenly became much more appealing in the wake of the Freedom Industries event), but at the core we need collective vigilance. Water is our common trust. We all pay very directly, when our trust, both literally and figuratively, is breached by someone else’s negligence. If “Safety is No Accident” in the workplace, then surely the same can be applied to our water. Clean water is no accident. And it’s no joke either.